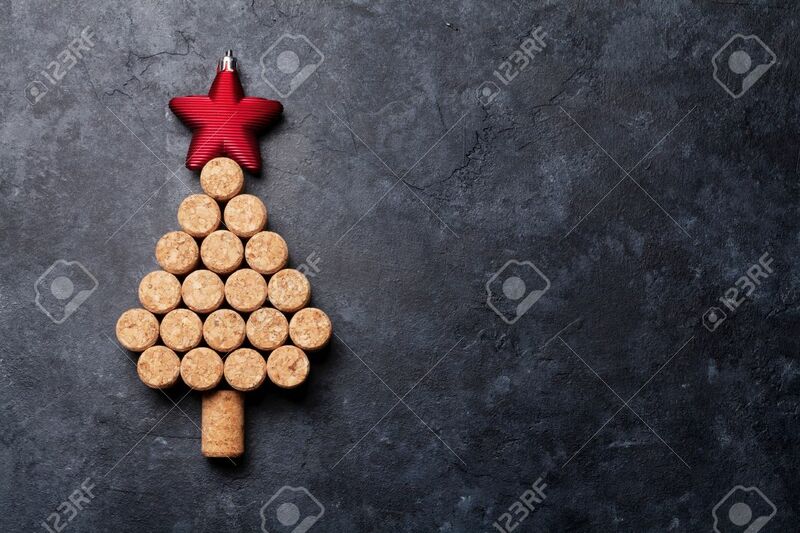 Wine Corks Shaped Christmas Tree On Stone Table. Top View With.. Stock Photo, Picture And Royalty Free Image. Image 64456912.